A multilateral trade agreement brokered by the World Trade Organization (WTO) has come into force aiming to remove customs bureaucracy. It's the trade body's first global pact in its 21-year history. Created more than a generation ago to deregulate global trade relations, WTO achieved a milestone on Wednesday, announcing that a trade liberalisation pact called the Trade Facilitation Agreement had come into force. WTO Director-General Roberto Azevedo said the required two-thirds of member states had ratified the accord, which is expected to reduce trade costs by an average of 14 percent, or up to $1 trillion, after full implementation. "This is fantastic news," he told reporters at WTO headquarters in Geneva. "By ratifying the agreement, WTO members have shown their commitment to a multilateral lateral trading system." 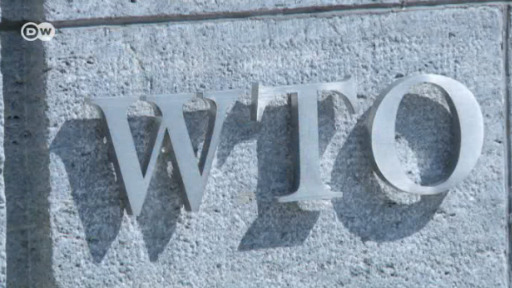 The agreement is WTO's first-ever global deal. It comes at a time when the organisation is struggling for a meaningful role in international trade relations that are increasingly determined by bilateral and regional free trade pacts. The organization's future is further clouded by a global trend toward protectionist policies, spearheaded by the new US administration under Donald Trump. WTO chief Azevedo said he had not spoken with any US administration officials on trade, but noted that the country was among the first to ratify the agreement. "This deal is about lowering trade costs, and as far as I know, all countries - all WTO members - are in favor of that, regardless of what their domestic situation is at any point in time," he said. Azevedo also noted that the US had been pushing for the agreement to be concluded, and that he saw no reason why this should change. "I do not think we are facing anything that is unmanageable," he added with regard to Donald Trump's comments on global trade relations being unfair to the US. The Trade Facilitation Agreement (TFA) was already concluded in 2013, and has only now taken effect, after Rwanda, Oman, Chad, and Jordan formally signed on, taking the number of participants to the required threshold of 110 nations. The TFA was designed to cut red tape and speed up the processing of goods across borders. Among other measures, signatories have agreed to prioritize perishable goods and to release products before customs duties are levied. The UN Conference on Trade and Development (UCTAD) estimated that Rwandan exporters and importers, for example, had saved $6 million a year after TFA rules were implemented, cutting waiting times for trucks at its borders to 34 hours now from 11 days in 2010. In addition, WTO said its members would benefit from a wider acceptance of e-payments, harmonized trade standards, and limits to export and import fees. It estimated that full implementation of TFA rules was likely to add 2.7 percent to world trade growth by 2030. Since 1994, the WTO has been set on abolishing barriers to global free trade. With considerable success. Now though, it seems powerless to shift President Trump from his protectionist policies.